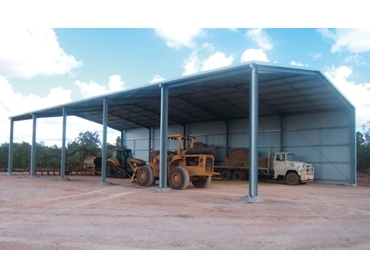 Ahrens manufactures a range of steel-framed sheds, including high quality machinery sheds. They can custom design steel machinery sheds through their Queensland-based M&S operation. These buildings are suitable for a range of domestic, farming, commercial and industrial applications. They can house all types of machinery and equipment and they are engineer-designed to ensure strength and durability. There are many options available with these machinery sheds, including bay spacings and door placement and door height. Sheds are just one of the product categories that Ahrens has built its reputation on. The organisation also provides Australian grain farmers and commercial operators with a full complement of rural infrastructure.